Reconnecting with the Universal Power.. A silent Prayer before the beginning of the event..
A workshop on Voice Training / Voice Culture will be organised in Kochi – Kerala by Shanmukhapriya School of Music. Voice Training Workshop will be a one day session during April 2012. Exercise package for daily practice to maintain the voice. The event will be a conducted in a very good convention center in the heart of city. Morning tea and snacks, Lunch and evening Tea and snacks will be provided in the venue. The date of the event, venue and the participation fee will be announced soon. Registrations will be processed on a first come first processed basis.Since seats are limited, for assured participation please reserve a space by sending email to anuradha7.mahesh@gmail.com. The workshop is also open to professional singers, music students, upcoming artists and professionals in other fields that demand intensive use of vocal chords, such as teachers/lecturers, call centre executives, comperes and dubbing artistes. Thanks a lot for sharing your divine concert photos. 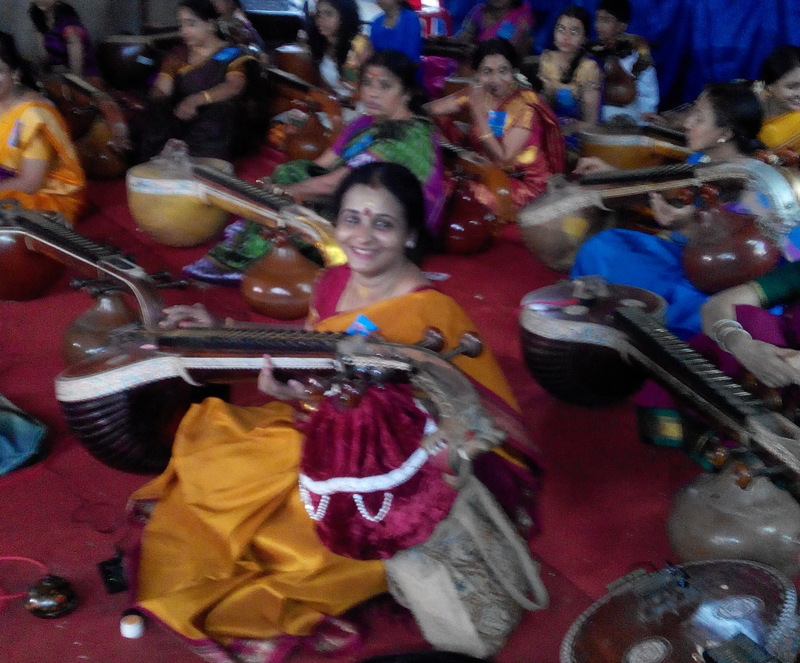 There is an upsurge of public interest in carnatic music in kerala, in recent times. 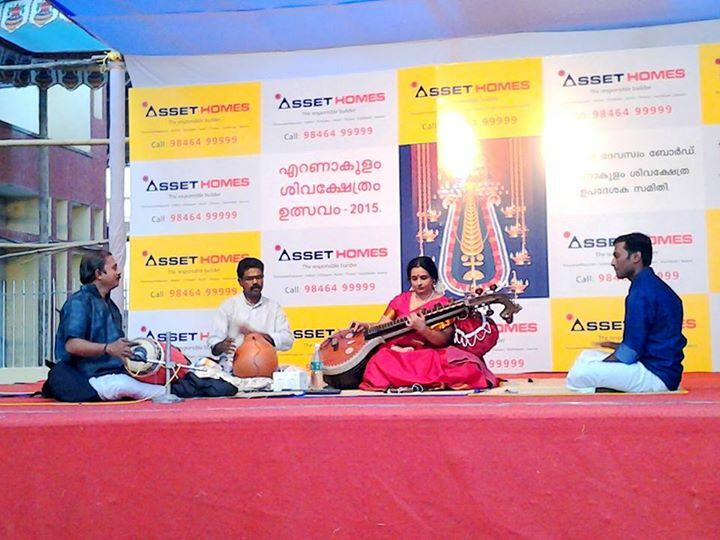 There is lot of talent there, although very few like Unnikrishnan and Sankaran Namboothiri are able to break the vice like grip of chennai based sabas from the music circuit. It is obvious that you had busy season. Look forward to hear audio or see video. Thank you very much dear friends for all the encouragements. Nice concerts. Wishing u many more concerts. This is the first time i am listening ur songs. Its owsome. Can you please post the essence of “workshop on Voice Training / Voice Culture” in your blog later? As I cannot come for the workshop, I’ll be very much obliged if you can do it. It is not possible to post the pratical sessions she is offering in the venue like physical postures, vocal exercises etc. All theoratical aspects i have posted in the blog. If any new theory she explains i can put that in the blog. Okay Madam, Thank You Very much. Thank you very much Velvili..
i am a 9th standard student living in UAE. my dad is a tablist has played in many tv shows started his career in 18 years of age BAIJU BALAKRISHNAN. now my dad is my guru. iam just a beginner in music. your blog is very useful for students like me. 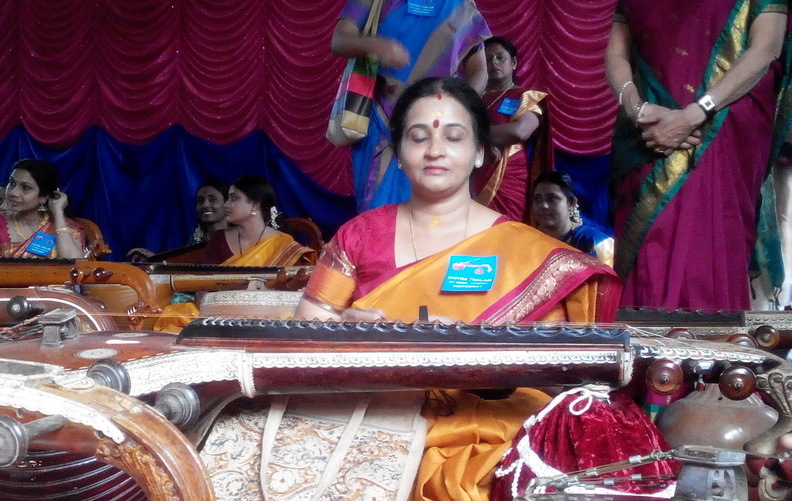 my favourite instrument is veena but here i dont get a chance to learn. you inspired me a lot thank u so much aunty. 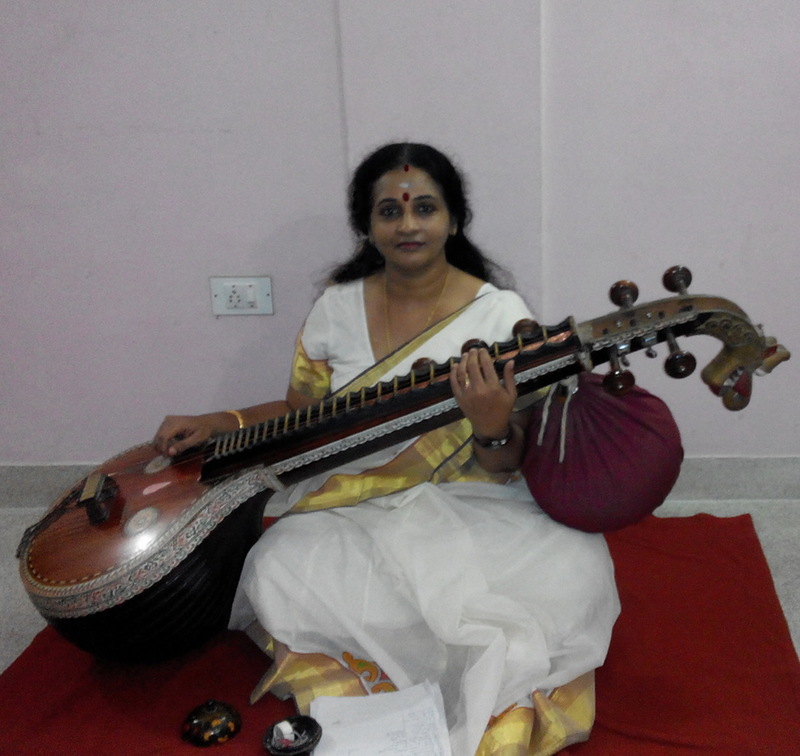 May God Bless You Bhavani…If you are destined to learn this ancient instrument Veena..a Guru will definitely be in your reach when the time comes.. Think I am lucky to have stubl Think I am lucky to have stumbled on you excellent website. I am an avid lover of carnatic raga alapana. when are you performing in chennai. Do let me know so that i may not miss it. Continue to upload carnatic ragas-more and more. Thanks and regards. s.a.balasubramanyan. Welcome to this abode of music and spirituality..If I am performing at Chennai, I will definitely announce it in my blog. Kindly visit again and post your comments/suggestions/criticisms..